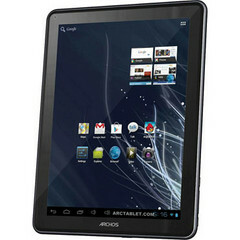 Recently photos and specification of the Archos 97 Carbon tablet have been revealed. This line of tablets is also known as the Elements line of tablets as they are named after chemical elements. It has also been rumored that another new model called the Archos 70 Cobalt is being spotted at the FCC earlier this month. From the images of the model that has been disclosed we may say that the look of the device resembles the Arnova 9 G3 tablet a bit. However it has also some differences as it has a rear camera too. It differs in terms of specifications too as the French company model also sports more of Google applications. It is also powered by Android 4.0 or Ice Cream Sandwich. The users will be able to enjoy the full access to the Google Play Store, where they can download applications. 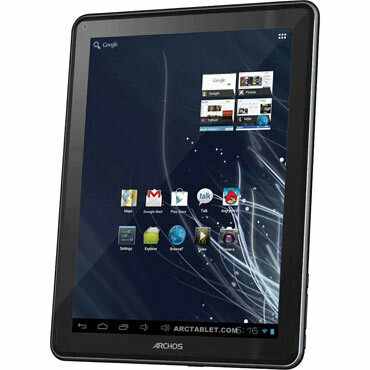 This device has a 9.7inch LCD display along with a 5 point multitouch gesture support. It is able to provide a resolution up to 1024x768 pixels. It also contains a single core ARM cortex A8 Rockchip 2918 processor, with a speed of 1 GHz and is coupled with an 800GC Vivante Corporation GPU. The device also has a 1GB of RAM and is also built in with 16GB of storage. This storage capacity can be extended up to a maximum of 32GB with a MicroSD card. Other important specification includes Wi-Fi 802.11 b/g/n, Bluetooth, a VGA camera in the front and a 2megapixel camera to its rear. It also has a headphone Jack, USB port, volume and home buttons, and HDMI out. This device is expected to be sold at around the price of 199 Euros, and might ship to the market in the second half of 2012.